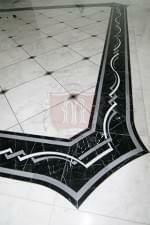 One of the most fascinating things about custom black and white marble border is its nature and history. The white and black colors are mainly used to create an illusion of extra space in a rather confined room. 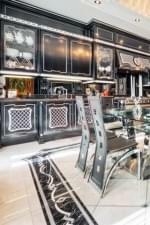 That’s why a white and black marble floor border is likely to work best for your kitchen. The combination of black and white marble brings out a special feeling of freshness, which is perfect for the contemporary kitchen. What’s more, these colors are considered to be quite liberal as they can go with virtually any other type of decor. If you have already installed other interior decorating elements in your kitchen, a custom black and white marble border would be the ideal choice for you. 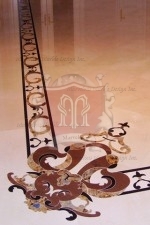 You do not have to struggle with a white and black marble floor border since it can fit in any part of the room without distorting the rest of the interior design. Regardless of the style of your kitchen countertops, tables, cabinets and chairs, this floor border will still add a touch of elegance, serenity and newness. These colors have been in existence since the dawn of time and therefore they are very effective in creating a sense of timelessness. 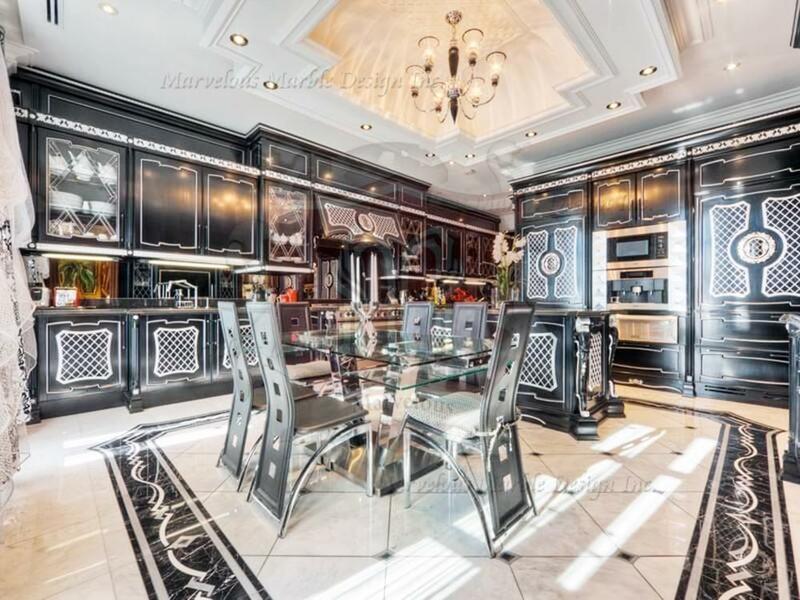 With a white and black floor border, your kitchen will never go out fashion. You probably know that every kitchen requires sufficient lighting and space. What other better way to add lighting to your kitchen than to incorporate a beautifully designed custom black and white marble floor border? No other color can magnificently and uniquely grace you kitchen than the combination white and black colors. This border is a great source of ultimate beauty, comfort, and inconspicuous elegance. It makes your kitchen appear simple, attractive and accommodating. 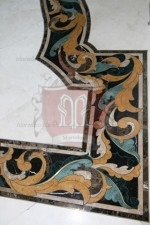 If you want to give your kitchen long-lasting beauty, this marble floor border is the way to go. 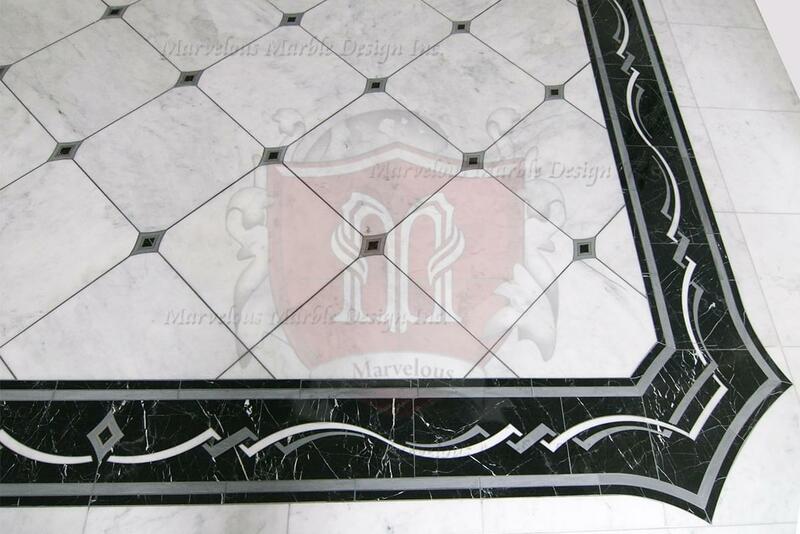 A custom black and white marble floor border is considered by many as the statement floor border. You can never go wrong with a mixture of black and white colors. And when this combination is created artistically on the edges of your kitchen floor, the effect is incredible. Everybody is left admiring your taste for style and durability. Interior design is all about creating the right impression. A custom black and white marble floor border not only enhances the appearance of your kitchen but also makes the right statement about your eye for detail.